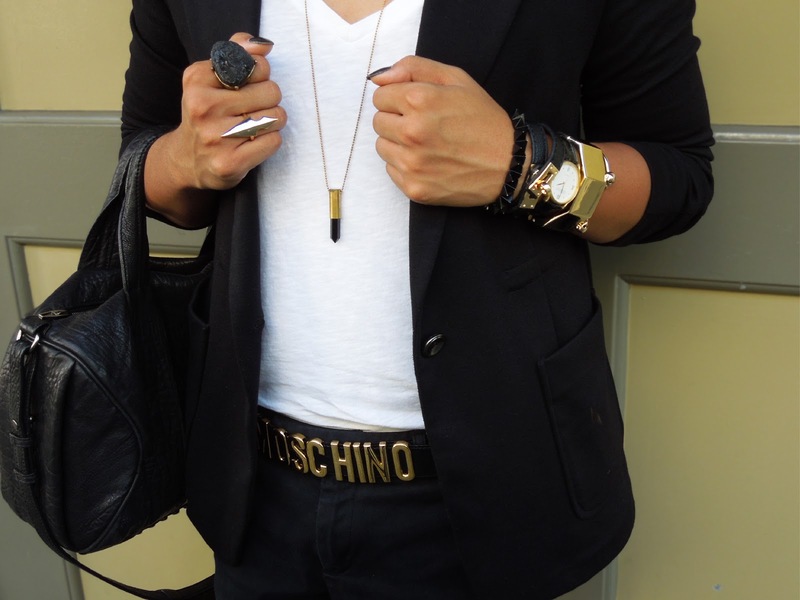 White v-neck cotton tee by Ralph Lauren, black shorts by Banana Republic, black casual cotton blazer by Armani Exchange, black suede boots by Jeffrey Campbell, black lambskin Rocco Mini Duffel with black nickel hardware by Alexander Wang. Accessory details in other photos below. Oversized faux black gem ring from Macy's, pale gold arrowhead ring from Cookies, black gem bullet necklace from Brandy Melville. 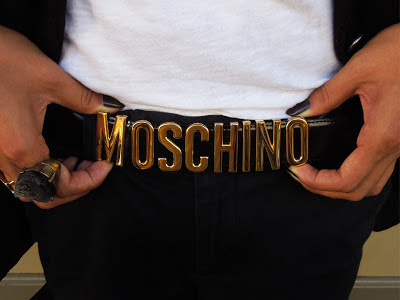 Vintage Moschino black patent leather belt with gold letters. 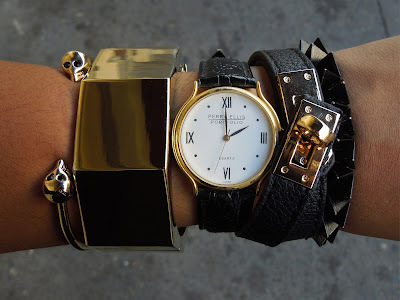 Pale gold skull bracelet from Brandy Melville, pale gold geometric angled bracelet from Macy's, vintage Perry Ellis Portfolio watch (gold hardware with embossed black patent leather band), Hermes inspired Kelly wrap bracelet (black leather with gold hardware) from iKandy, matte black pyramid spike beaded bracelet from Brandy Melville.